Happy Thanksgiving to all the match-heads out there! This year we have something extra-special to be thankful for… a brand new ongoing FIRESTORM series! Hooray! 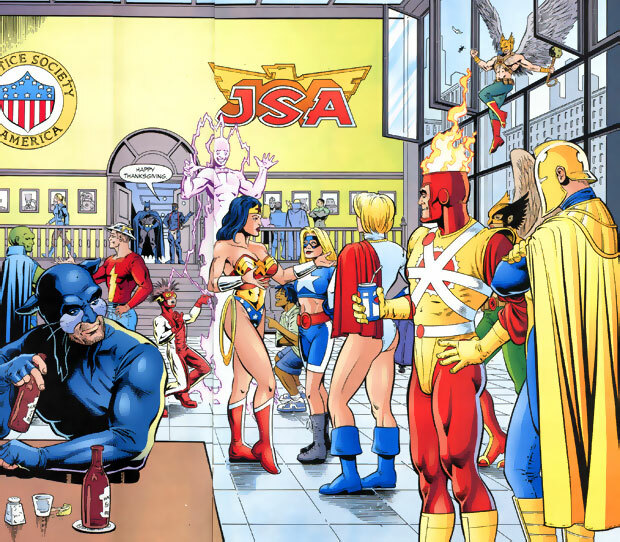 Below is a little Thanksgiving fun from the 2003 JSA/JLA Thanksgiving get-together in JSA #54. This issue featured Ronnie when he was operating solo as Firestorm. 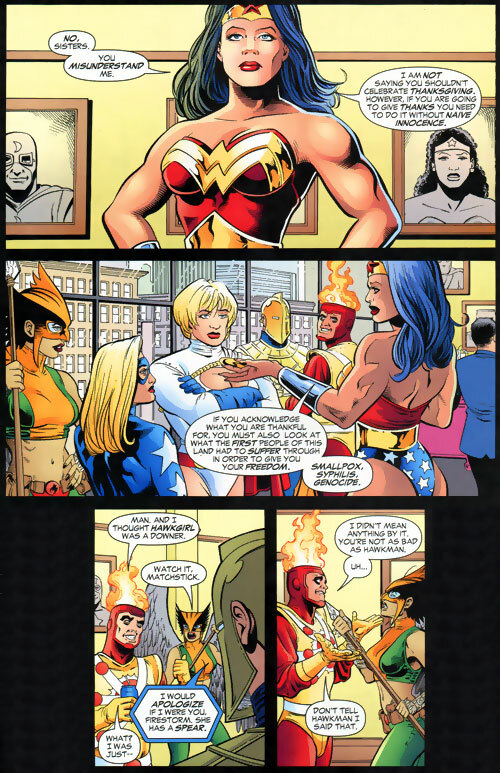 Firestorm and Doctor Fate together! Two of my favorites! And poor Ronnie, he never seems to say the right thing around women.